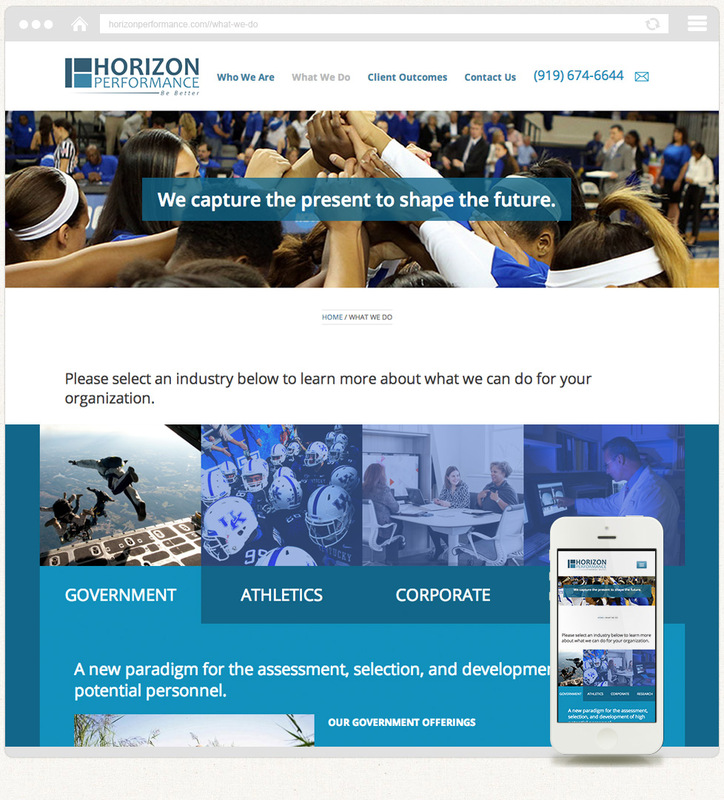 Today, we launched a new custom, responsive website designed and developed for Horizon Performance, a Cary, North Carolina based company offering advanced methodology and supporting technology to better evaluate, monitor, and report on human performance. 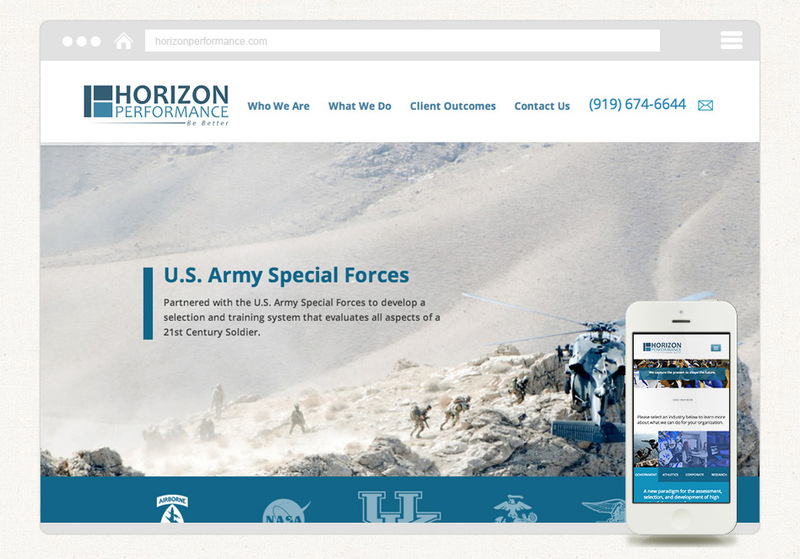 The website’s goals are to effectively communicate the services that Horizon Performance offers and to provide visitors with information about their history, their experience, and previous client outcomes with companies like NASA, the US Military and the National Football League. We developed custom tools in the WordPress backend to allow our client to control every aspect of their website, making it a snap to edit and update information. 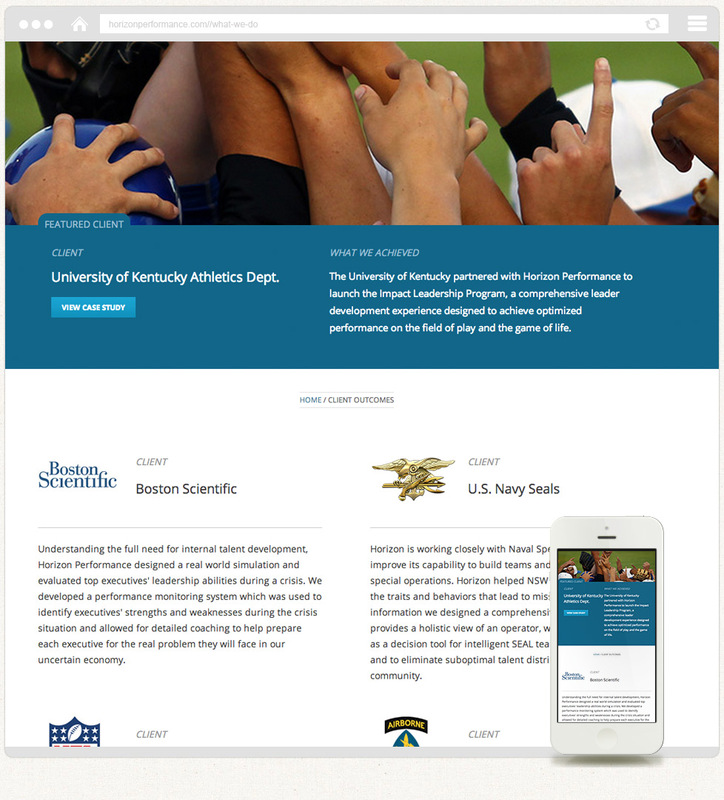 The website is also built using responsive web design techniques so that every page looks awesome and is easy to use on any mobile device. Thanks to Horizon Performance for being terrific clients to work with and we’re excited to continue to our relationship with them as we provide reliable website hosting, maintenance and support services.